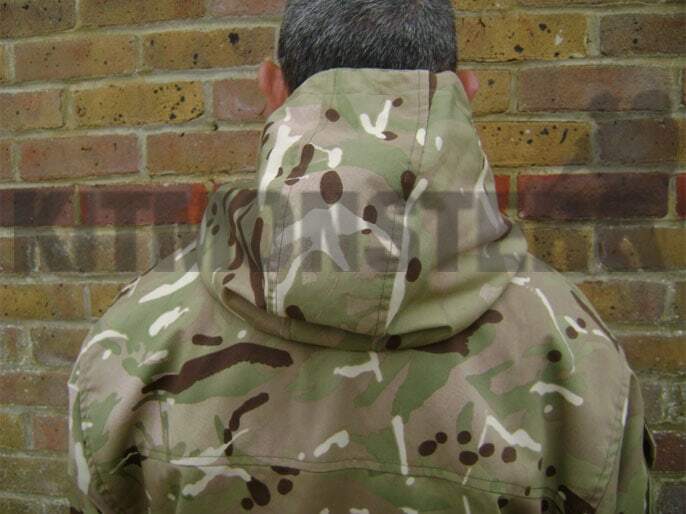 'Old School' SAS pattern Windproof Smocks in Multicam and MTP compatible ATP camouflage Gaberdine type material. Lightweight, quick drying and oozing Allyness. 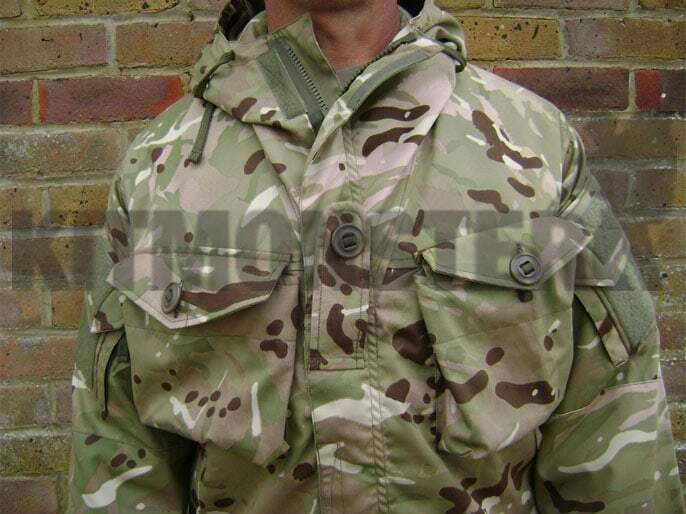 Made for Odin Tactical by Keela to the highest standards, and faithfully modelled on the legendary SAS pattern issue smock, with selected updates, these have the smaller hood, without the extreme weather snorkel and wire. Four 'bulgy' bellows type external pockets with internal lanyard attachment loops in upper left (as worn), and both lower pockets. upper right as worn has internal slip pocket. These pockets all have button through flaps, buttons are Canadian 'slot' type with tape fixings. 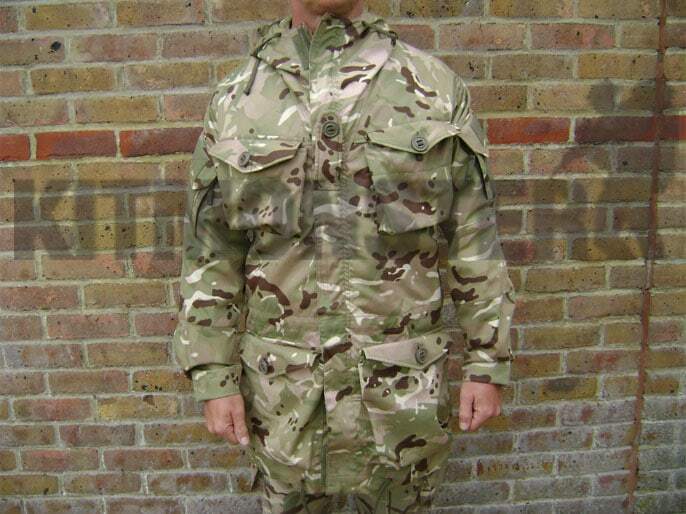 Rank slide on chest, angled sleeve pockets with Velcro panels for ID & IFF patches, Velcro closed, internal lanyard points, and flat zipped pocket behind, side access. Internal pockets as per the original, 1 x slip pocket, upper left side as worn, lower rear 'Poachers' pocket. 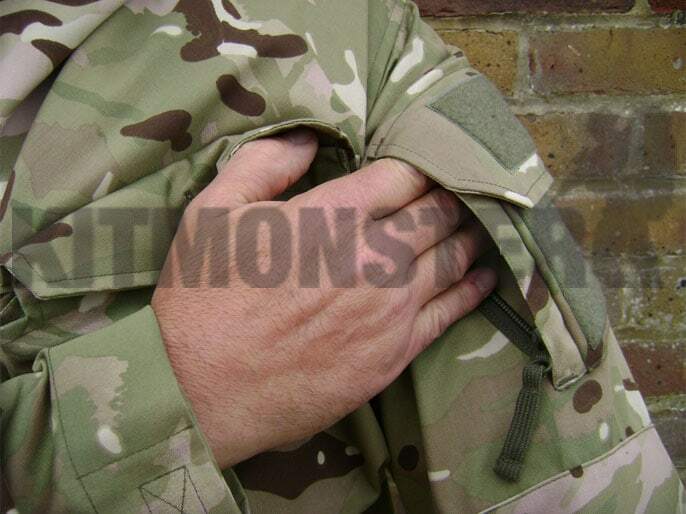 Drawcords on hood hem and waist, full length 2 way zip with Velcro storm flap, Velcro adjustment on cuffs, cuffs fold back easily allowing sleeves to be rolled up for Uber Ally hero cuffs. Classic 'Ally' style, no irritating mesh lining to get your pens and keys caught in, and no silly fleece lined REMF pockets that take 6 weeks to dry out. The Badge will hate them, but every professional needs one. New, available in sizes extra small to large, see below for conversions. These are very generously sized, they're larger in size and slightly longer in body length than the issue item, there's no need to go a size up to accommodate your warm kit. As a guide, our model is size 180/96 in issue clothing and is wearing an extra small smock. For our non Military customers, the first number is height the second is chest size, both measurements are in CM.